So Lonely in Gorgeous: Four Days, Four Looks, One Collection! Four Days, Four Looks, One Collection! For swatches of the products used please click here. Nars Sheer Glow Foundation in Punjab (Medium 1). Shu Uemura Hard Formula brow Pencil in Seal Brown. Les Merveilleuses Laduree Cheek Color Mini Collection 02. 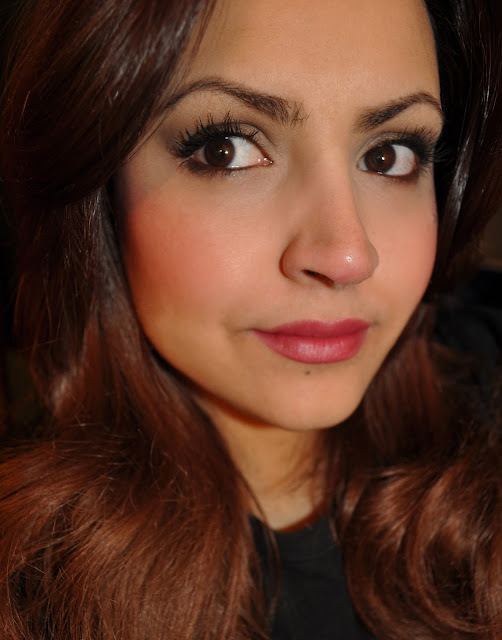 Mac Studio Sculpt Concealer in NC30. The golden wheat shadow all over the lid. 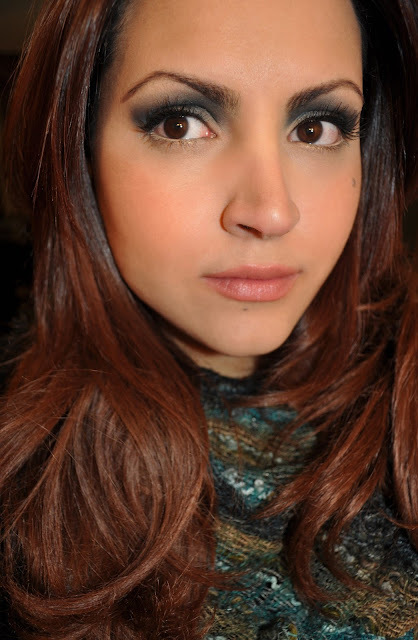 The dark teal shadow on the upper and lower lashline. The golden ivory shadow on the brow bone and inner corner. Chanel Inimitable Intense Multi-Dimensionnel Sophistique Mascara in 10 Noir. Les Merveilleuses Laduree Rouge Mini Collection 02. Les Merveilleuses Laduree Cheek Color Mini Collection 03. 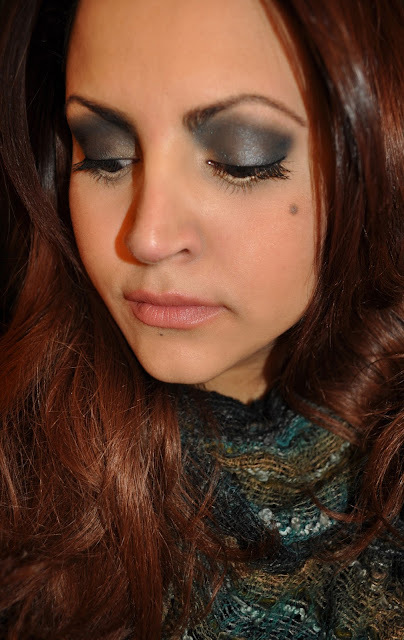 The dark teal shadow all over the lid blended upward into the inner brow. The golden wheat shadow in the inner 1/3 of the lid and along the lower lashline. Les Merveilleuses Laduree Rouge Mini Collection 01. In this photo I applied Rouge 101 with my finger for more of a stained effect. Les Merveilleuses Laduree Mini Face Color Rose Laduree 102. The golden grayish-taupe shadow all over the lid and blended into the crease. The middle dark bark brown shadow on the upper and outer half of the lashline. Les Merveilleuses Laduree Rouge 101. Les Merveilleuses Laduree Mini Face Color Rose Laduree 101. 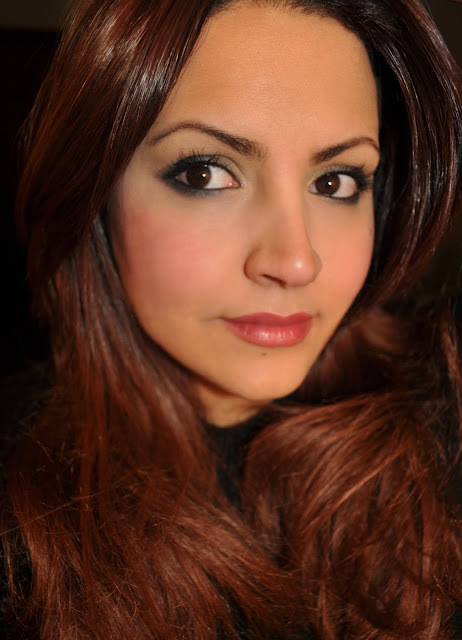 The tarnished golden, greenish-brown shadow all over the lid and blended into the crease. The golden grayish-taupe shadow dusted over the lid. The middle dark bark brown shadow on the lower lashline. Mac Chromagraphic Pencil in NC15-NW20 on the waterline. 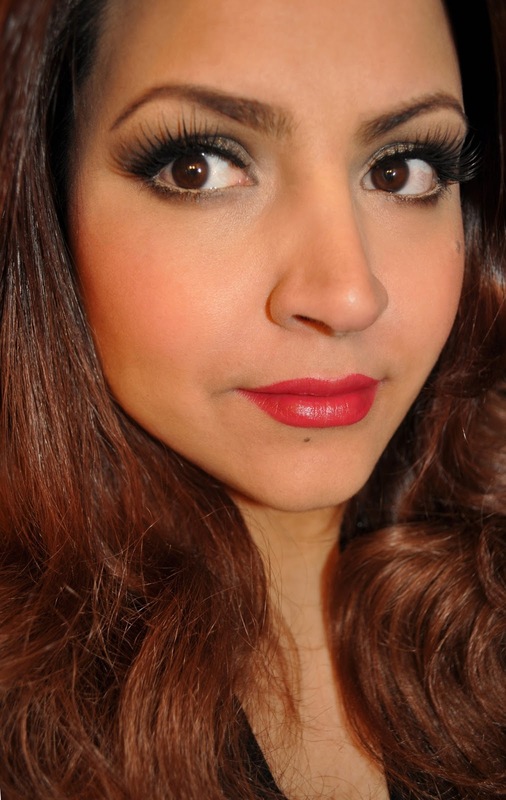 Red Cherry False Lashes # 138. Les Merveilleuses Laduree Rouge 102. ....I'm going to have to try Laduree eyeshadows, right? So how much do you spend on makeup in a month :D? You really rock those darker shades with your big brown eyes. I LOVE the second look with scarf. Absolutely Gorgeous! How have you been my love? Miss you!!! Ha, have been missing your posts with new looks with new makeup! It keep us all so exicted! Please post more of these when new summer collection is coming out! yay~!!! Thank you Claire, you've made my week <33333 Okay, I'll start working on my look post asap! Running on Empty: February Empties!